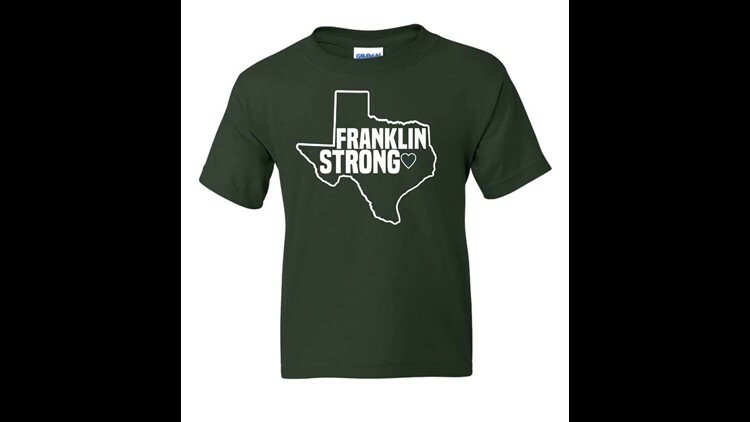 FRANKLIN, Texas — The Franklin High School Student Council is selling T-Shirts to help members of the community impacted by a recent tornado. The storm ripped through the city, Saturday, decimating 55 buildings. The shirts say "Franklin Strong" on the front and the phrase "We Are One" on the back. They were sold for $10 at Franklin High School on Tuesday night, April 16th. Organizers say they will continue to resupply until everyone who wants one has one. 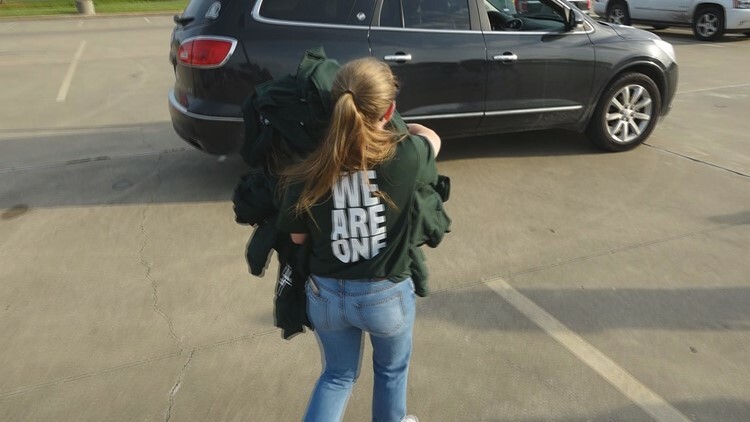 "Once the dust settles in a few weeks, [local fundraisers] will get together and decide how to distribute the money," said Shannon Groves, Franklin High School Student Council Adviser. "We want it to go from Franklin hands to Franklin hands." Groves said the student body president, Zoey Barnes, approached her about the fundraiser. After the storm hit on Saturday, the shirts took less than 24-hours to design and order. "It makes me feel like I can be a part of something and I can make a difference to go out and help," said Barnes. The students are working with local police to identify families hit hardest by the storm and hope to deliver donations to them personally, Groves says. For those not in Franklin and would like to show their support by ordering a shirt, go to this website.